Season's Greeting and Houseboat Resolutions for 2009. Manon and I want to take a moment to thank all our readers for their support and contributions for making the site a great success for 2008, and there's plenty planned for 2009. It's a great time for us to wish you all the best for 2009. May all your wishes and dreams be realized. 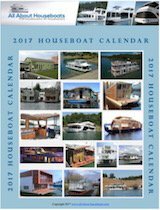 Any new Houseboat Resolutions or Gifts for 2009? Houseboat Xmas Gifts: It looks like I was a good boy this year, Santa brought me a 15" LCD Flat Screen TV for the galley in the houseboat. Somehow I think it was Manon's idea, since she likes to watch Oprah and Dr Phil while she prepares supper. Now she will have a small swivable TV right in the kitchen. 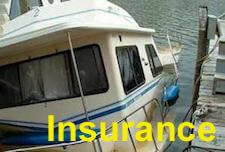 Did you get anything for your houseboat at Xmas? Take a moment, and tell us about in the forum, your ideas will help us all. 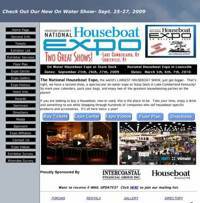 Houseboat Resolutions for 2009: When it comes to popular New Years resolutions like to lose weight, or to exercise more, or to go to bed earlier (I'm a night owl), I've always never tried to make them. Building a pontoon houseboat with recycled products. 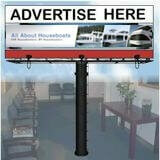 I am thinking of building a pontoon houseboat with recycled products. 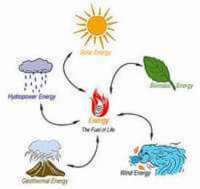 I want to build a cheap and simple houseboat and I want to use recyled products. 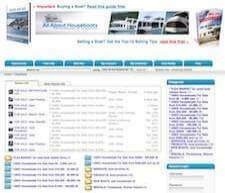 Liveaboards - Anybody living on a houseboat in Florida? 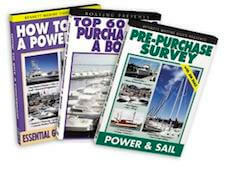 The First Million House Boats - 1,000,000 houseboat pages or hits. Houseboat Toilets - Smell from black water vent pipe. Houseboat Gift Certificates - The Top 10 reasons why Owners of House Boats will love them. Where and How to Buy them.